Pet Blinkers for your dog. The kit includes 1 flashing button light stainless steel clip and 3 AG3 batteries. Sizes available are small/ medium and large. Color for small/medium is pink/jade and for large is orange/blue. 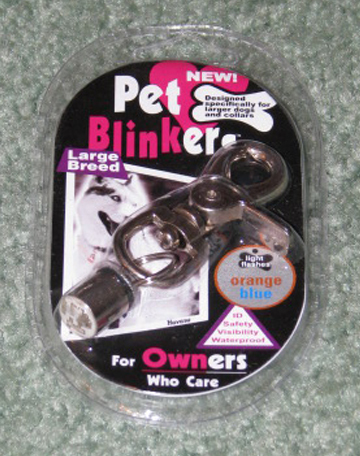 For replacement batteries see pet blinker batteries.